Each addition to our product line continues to focus on ease-of-use and non-invasive sample collection. 2. Unprecedented advances in genetics: In the past year, we saw the African genome sequenced and we saw a large international consortium of researchers discover a significant link between autism and DNA. We also saw that an entire fetal genome can be sequenced from maternal circulation. This could lead to the advent of a whole new range of minimally invasive prenatal diagnostic tests. However, few would argue that the most memorable moment of 2010 was Craig Venter’s assembly of a synthetic genome. By sticking together particular sequences of DNA, Venter synthesized a functional bacterial genome. We don’t yet know if this is really a step toward creating life in a lab, but it could lead to new sources of biofuel or even speed up flu vaccine production. 3. Breaking down barriers to DNA sample collection: We continued to break down barriers to DNA sample collection through our Helping Hands program. Established in 2009, the program supported multiple event-based collections in 2010 including Spit for the Cure™ events in Little Rock, AK and Roswell Park, NY, and the National Walk for Epilepsy in Washington, DC. One exciting new event-based collection we added this year was for the Anthony Nolan Trust, a bone marrow donor registry in the UK. We supported their efforts to collect DNA samples at the Isle of Wight Music Festival, attended by over 50,000 people. Anthony Nolan switched from collecting blood samples to collecting saliva using Oragene•DNA and our participation at this event proved that more samples could be collected with less effort than ever before. 4. Personalized medicine is real: We’ve been hearing the promises of personalized medicine for some time now with its magic formula of ‘the right treatment for the right patient at the right time’. I believe the promise of personalized medicine is now real. This year alone, we saw the first TV ad for a drug offering genetic testing. Companion diagnostics are now in full force in drug development and there is growing pressure to measure the effectiveness of drugs in the future. We’re excited about this as we see Oragene•DNA as a unique, enabling technology for personalized medicine applications. In fact, we’re being considered for the Personalized Medicine World Congress “Most Promising Company Award” for 2011. 5. Fostering the next generation of scientists: In April, we introduced a program geared towards helping students in high schools, colleges and universities learn more about DNA collection and preparation. The program, titled DNA Genotek's Science Education Program, offers Oragene•DNA kits at no charge to classrooms in accredited high schools, colleges and universities to be used for teaching purposes. Who knows? Maybe someone participating in this program will make it to my top 10 list in 2020. 6. Our customers continue to amaze us: Each year, I am amazed at the work our customers do with our products and 2010 was no exception. There are novel applications of our product that we would never have thought possible and new genetic breakthroughs in diseases that we hear about every day. A few of the highlights of the year for me were the decision by Anthony Nolan Trust to switch from blood collection to Oragene and the subsequent rapid increase in donors to their bone marrow registry, and the South African Tuberculosis Vaccine Initiative’s 95% compliance rate with Oragene in their study designed to identify host correlates of protection against TB following BCG vaccination. 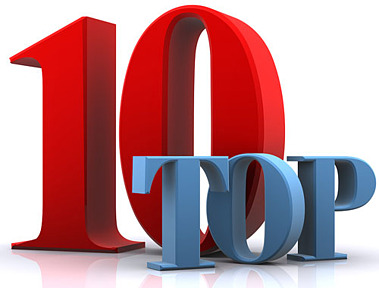 There are so many other worthwhile projects with Oragene that I could write a separate top 10 list on them. I know that our customers will continue to amaze us in 2011. 7. Getting involved in the fight against HIV, TB and malaria: DNA Genotek joined the Global Business Coalition on HIV/AIDS, Tuberculosis and Malaria in 2010. Understanding the genetic basis of HIV/AIDS, TB and malaria is critical to discovering new prevention and treatment options. It is our hope that our work with the GBC will enable research that may one day lead to the identification of the genes involved in these diseases or genes which cause resistance to treatment so that effective measures can be taken. 8. Partnering for success: The DNA Genotek Partner Program grew again in 2010. We welcomed our first partners from Singapore, Israel, Italy, Germany and France, expanding the number of global locations where customers can have Oragene samples processed. In total, 16 new companies joining the program from more than 8 different countries. The program was introduced in 2009 and this is a great example of the type of momentum we’re seeing around the world. 9. Awards and recognition: We were proud recipients of 3 major awards this year and each one is unique. First, we were the recipient of the Medical Design Excellence Award for the design of the Oragene•DNA OG-500 format followed by the Frost & Sullivan 2010 North American Genetic Sample Collection Technology Leadership Award. We ended the year with an award I’m particularly proud of – the Employee’s Choice Award for Best Place to Work. This award tells me that our employees are proud to work here and motivated to do a great job for our customers. 10. Customer satisfaction is what really matters: The feedback we get from our customers humbles me on a daily basis. As a company we are committed to building quality products and to providing superior customer service. In our customer satisfaction surveys, we ask one question that matters most to us: “How likely is it that you would recommend us to a colleague?” Over and over, you do recommend us to your peers and collaborators. My sincere thanks to so many of you that share this feedback with us. It’s one of the reasons I love the DNA Genotek community so much. It’s clear that the floodgates on genetic data are opening. Ten years ago, you could count the number of sequenced human genomes in single digits. Nature News recently predicted that more than 30,000 human genomes will have been sequenced by the end of 2011. The rate of discovery is escalating more than ever and our customers are each playing important roles in this process of discovery. We thank you for making DNA Genotek an integral part of this evolution. What was your most memorable moment in genetics in 2010? Did I include it in my list? Leave a comment and let me know.